Passive radar is a form of radar that utilizes radio transmissions of opportunity as illuminators for targets. Examples of such transmissions are commercial FM radio, GPS signals, TV transmissions, and military radars. 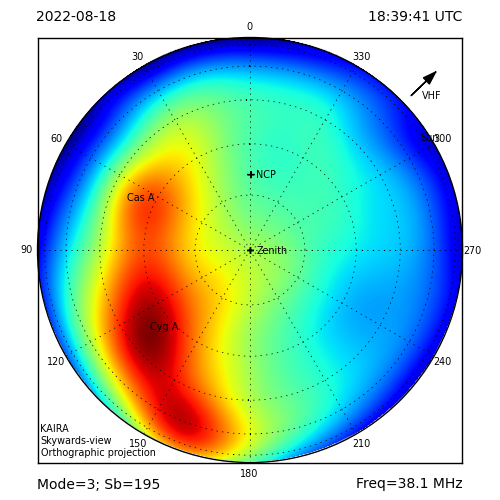 A little while ago, we had several plots showing DAB stations in Norway seen via anomalous propagation at KAIRA. This is a very primitive form of passive radar. A more advanced solution is to measure the transmitted waveform using one receiver, and use this measured waveform when deconvolving the echoes. Today we have some results from FM radio based passive radar operating at the MIT Haystack Observatory using two dipole antennas and a USRP N200. The plots were made while commissioning a new 16-channel USRP based system called MIDAS-Mini, which will eventually replace older ISIS Echotek digital receivers used for this same purpose. The concept of passive radar is not that new. 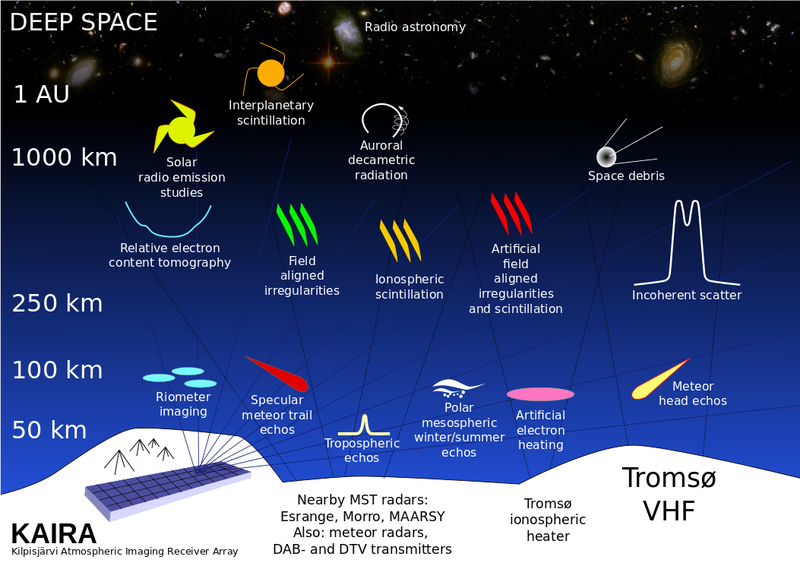 For example, the Manastach Ridge Radar or the Haystack Observatory ISIS system can be used to observe specular meteor trails, ionospheric E-region irregularities and E-region drift velocities -- but only using commercial FM radio transmitters and relatively cheap hardware. To read more on the topic, refer to eg., Frank Lind's Ph.D. thesis. In the video above, you can see airplanes with time variable Doppler shifts flying around the Boston and Rhode Island. This was recorded using a USRP N200 with one yagi antenna pointing towards the transmitter and another antenna pointing towards the opposite direction.